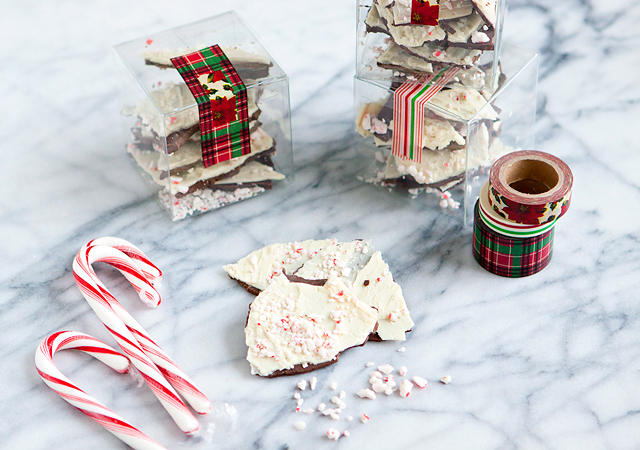 If you are still scrambling for some last minute neighbor gifts, or co-worker treats, I have a great recipe for you! 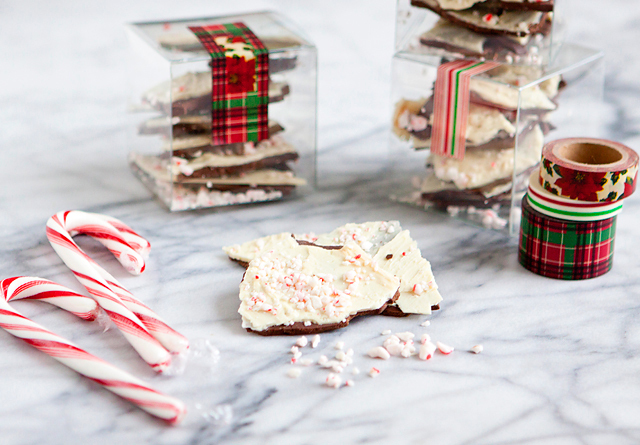 It is a simple, quick and easy chocolate peppermint bark. I love to make it and package it up nice and festive in some clear containers. 1) Gently melt the dark chocolate, heating it on very low heat or over hot water until it barely melts. I use a double boil method with a medium saucepan with simmering water then place a large glass bowl on top with the chocolate inside to melt it. 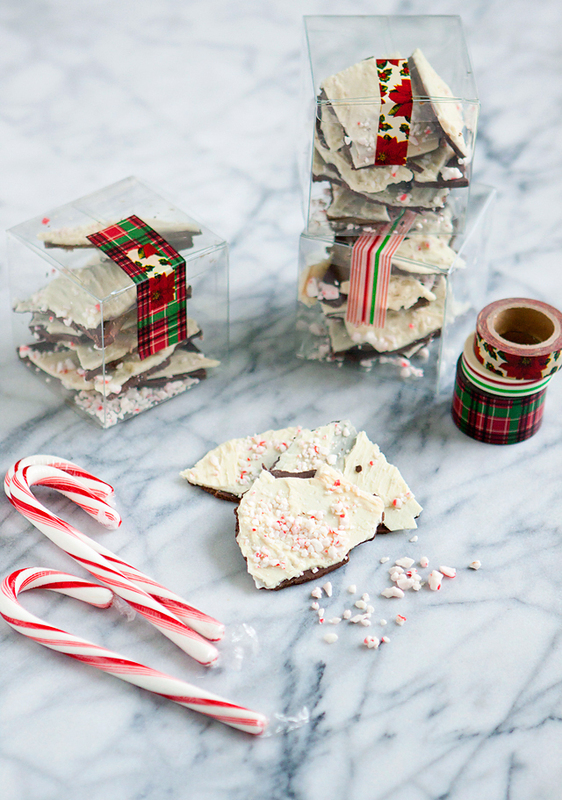 2) Stir in 2 drops of the the peppermint oil, then spread a thin layer into an 8″ x 12″ oval on parchment paper or foil. 3) Allow the chocolate to set, in the fridge or freezer for about 15-30 minutes. 4) Melt the white chocolate the same way, and mix it with 2 drops of peppermint oil. 5) Spread the white chocolate over the hardened dark chocolate. (make sure chocolate is well hardened or it will melt with the white chocolate. 6) Sprinkle the rest of the peppermint crunch on top, pressing it in gently. 7) Allow the candy to cool until hardened, then break or cut it into chunks. 8) Store airtight at room temperature for up to a week; freeze for longer storage. Yield: about 2 dozen pieces.